The Healed Planet podcast originally debuted on TALKERS radio in January 2015. New episodes were continued to be be produced until Alan Colmes’ untimely death in 2017. Since then, the Healed Planet archives have become part of the PodJockey Gold Mine for timeless preservation. 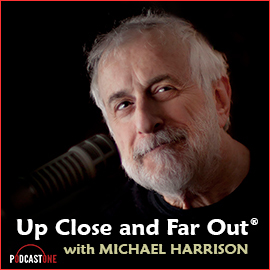 In this introductory episode, Alan Colmes interviews media expert Michael Harrison. Harrison is Publisher of TALKERS magazine, a trade publication for talk media, and principal with PodJockey. Alan Colmes was primarily known for his liberal viewpoint during his talk career – but this program was to be different. There was an expectation to explore the fundamental condition of the human existence by means of interviews with groundbreaking thinkers pushing the envelope on our perceptions of truth.